Located in Worcester, Pennsylvania, Meadowood is a nonprofit retirement community where residents have the freedom to create their own lifestyle. Our naturally beautiful campus provides a wealth of services and amenities, several customizable residential home designs and a continuum of flexible healthcare services. Meadowood Senior Living provides the highest quality of life for all who experience our community. 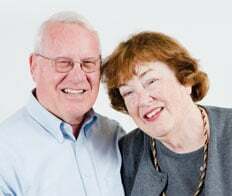 The vision for Meadowood began in 1982, when Bill and Sylvia Strasburg formed a nonprofit board to create a retirement community on the property of Malcolm and Blanche Schweiker, parents of former senator and U.S. Cabinet member Richard Schweiker. Bill and Sylvia now call Meadowood home. Meadowood was founded on a three-legged stool philosophy, which means our residents, board and management all play an important role in making decisions that shape and enrich our community. Since opening our doors in 1988, members of our team have worked together to create one of the region’s finest Life Plan Retirement Communities. We have enhanced our beautiful green campus with West Hill carriage homes and plans for an expanded weight room, cool-water lap pool, central courtyard and expanded rehabilitation, to continue empowering our residents with independence, life enrichment and quality choices. Quality First is the aging service field’s national quality improvement initiative. Launched in 2002 by LeadingAge, the American Health Care Association (AHCA) and the Alliance for Quality Nursing Home Care, the initiative demonstrates the aging service field’s commitment to quality. Both management and the Board of Directors are in full support of the LeadingAge Quality First Covenant and have made the Quality First pledge. We believe that Meadowood, a nonprofit organization, has a special role in society to provide healthy, affordable and ethical aging services. Our objective is to provide the highest-quality and most compassionate care and services to the people we serve. We believe that the field of aging services should adhere to applicable legal, ethical and professional standards that are based on stated values and policies. We believe that we should strive, to the best of our ability, to offer programs and services that are based on contemporary research and knowledge in order to meet the needs of the people we serve, along with our paid and volunteer caregivers.